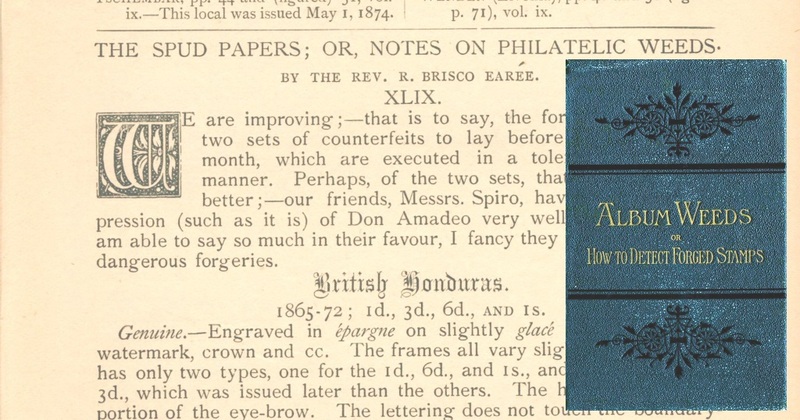 One of the more common reference requests received at the American Philatelic Research Library (APRL) concerns forgery information for not only U.S. stamp issues but also worldwide issues. 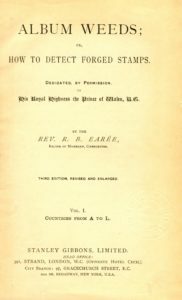 Among the more recent and notable resources for forgery information available at the APRL include the Serrane Guide and the Tedesco Index of Literature in the English Language that Describes Postage Stamp Forgeries (the latter being available online from the APRL) . Even the latest editions of the Scott’s U.S. Specialized Catalogue have begun to include listings for counterfeit stamps. 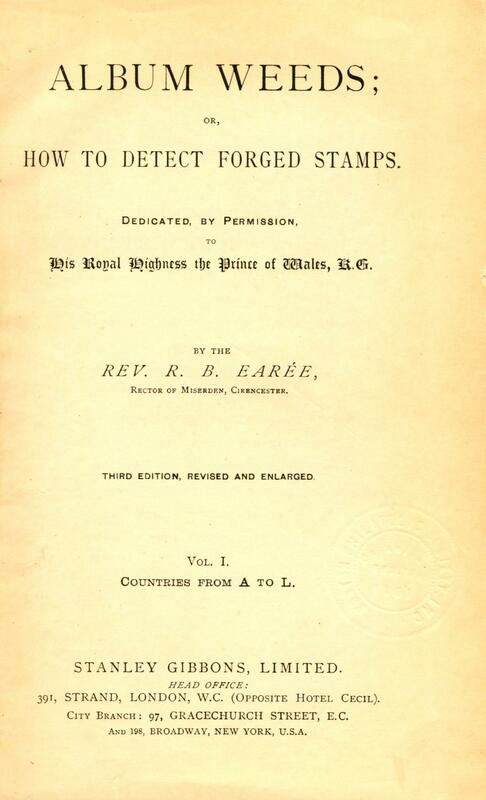 Often overlooked but no less useful is one of the earliest attempts to compile resource material about known forgeries of worldwide stamps, Album Weeds, also known by its subtitle How to Detect Forged Stamps. Some of their earliest submissions also included an actual example of the forgery being described along with explanatory text. 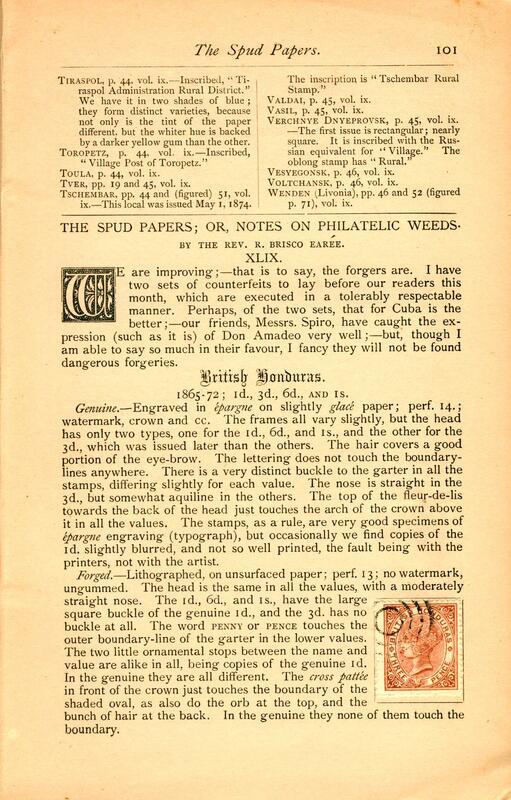 Their writings proved highly beneficial and popular to collectors at the time and were eventually compiled and formatted into a book with illustrations under the title Album Weeds. 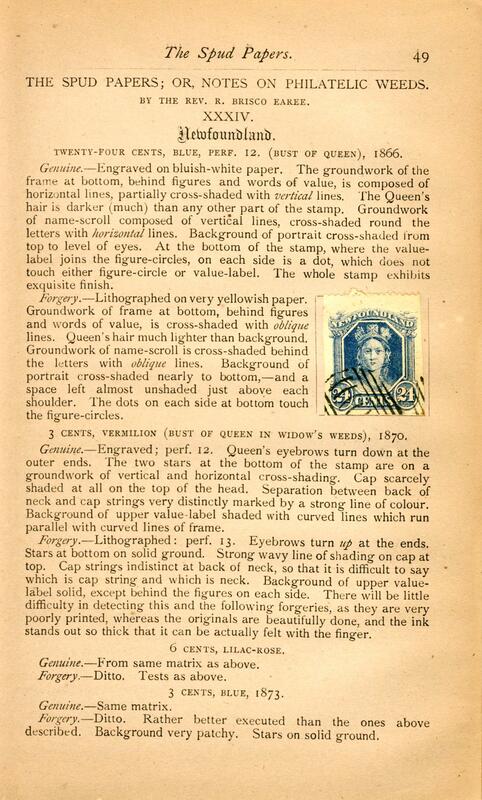 The first edition was published in one volume in 1882 by Stanley Gibbons. Later in 1892 a second one-volume edition was published followed by a two-volume third edition in 1906. Today the 1906 third edition has been reprinted by different publishers as an eight-volume set. 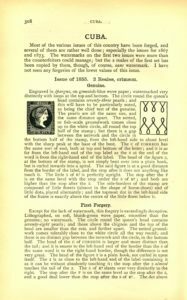 Organized alphabetically by country and then chronologically by the date of each forged stamp issue, the resource continues to be a remarkable compilation of forgery information. 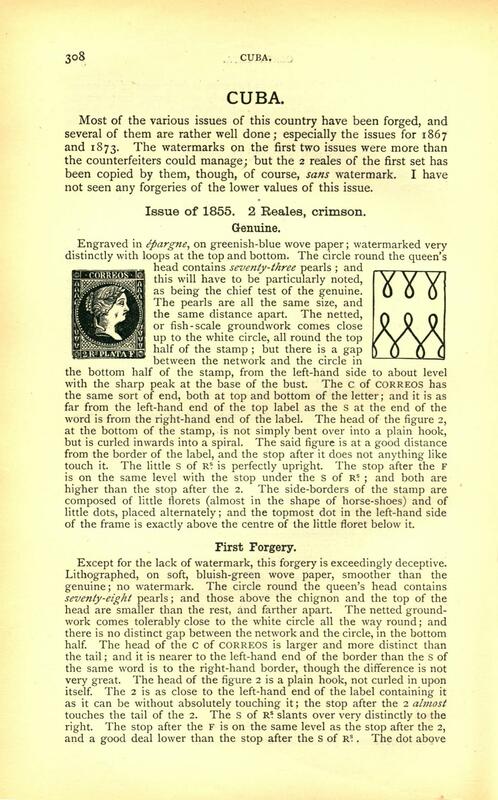 Relying primarily on text to describe each country’s known forgeries with some minimal supplementary illustrations included, each country section begins with an introductory paragraph detailing the extent of each country’s forged issues followed by in some cases subheadings titled “Paper,” “Watermarks” and “Perforations” for further explanations of each. Following these general sections are descriptions of specific issues listed chronologically with further details under the subheadings of “Genuine” then “First Forgery,” “Second Forgery” and so on. Also included in each country section are descriptions of known forged postmarks. 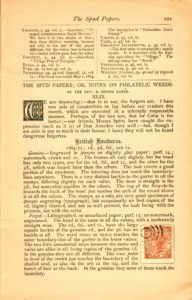 What ultimately makes Album Weeds a valuable and useful resource still is that it provides detailed primarily textual accounts of some of the earliest and most significant stamp forgeries. 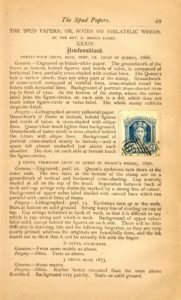 Whether it be the 1851 issues of Hawaii or the 1861 Confederate States New Orleans issue, Albums Weeds provides extremely useful historic, and in many cases still current, information regarding the genuine characteristics of these particular stamps as well as their known forgeries. Various editions of Album Weeds are available in the main book collection on the first floor of the APRL and can be used onsite or requested remotely for borrowing by APS members.